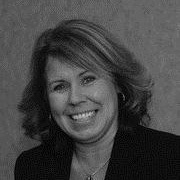 Tamie Hoekstra has been an investment advisor for TD Wealth Private Investment Advice since 2006. She has worked for TD Bank Group in the Sarnia Lambton area for more than 35 years, holding a variety of sales leadership and branch management positions before taking on her current role. In addition to her extensive industry experience, she also holds the Personal Financial Planner (PFP) designation, awarded by the Institute of Canadian Bankers. Tamie believes in a holistic approach to wealth management, and that understanding a client’s hopes and dreams is the first step towards a successful relationship and a bright financial future. Working with clients to assess their individual situation, she helps them set and prioritize life goals, and implement a customized action plan that will assist them with all their investment and retirement objectives. In doing so, she can call upon specialists from across TD Bank Group to offer a broad suite of financial products and services, including tax management, estate planning and insurance solutions. Outside of work, Tamie is an active supporter in fundraising campaigns for numerous local charities, and spends much of her free time spoiling her four young grandchildren.